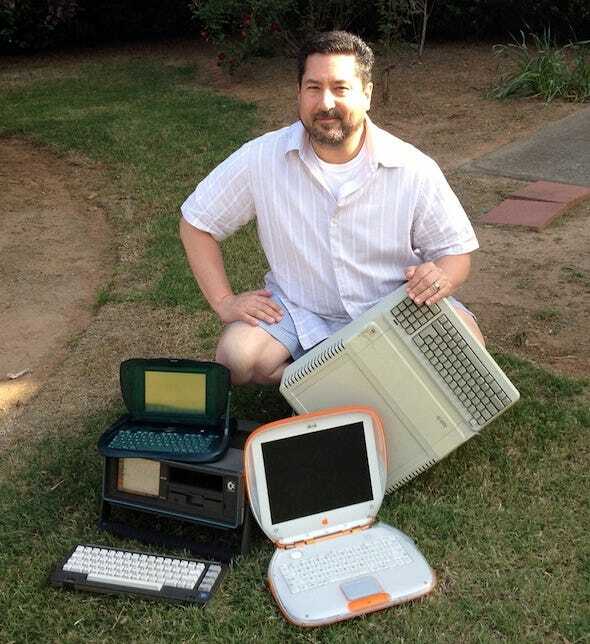 David Greelish loves Apple so much that for the past 20 years he’s been collecting its products — including rare items like the Lisa computer.He’s made some money on them, too. A fully functional NeXT Cube can be worth up to $1,200 these days, he says. He bought three of them for under $500. (NeXT was Steve Job’s computer company after he was ousted from Apple. 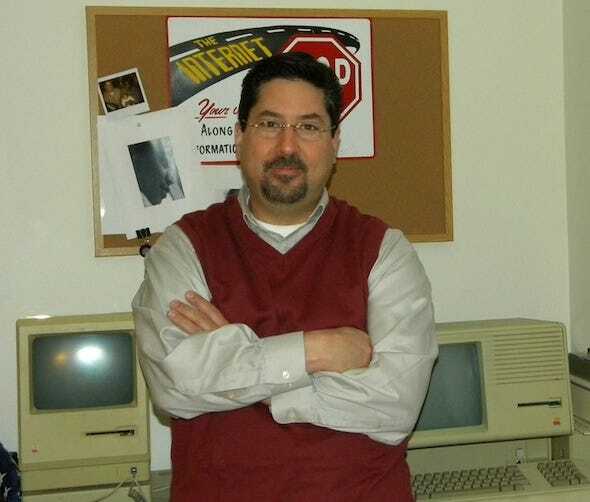 )Greelish has created a name for himself among fellow computer collectors between his book, The Complete Historically Brewed, his blog ClassicComputing.com and his Classic Computing Show podcast, which features famous guests like ex-Apple CEO John Scully.”It started when I got my first Mac in December of 1989. I was taken with this weird machine. I started to dig into its history, the story of Apple, how the two Steves started the company,” he told Business Insider. From there he got into collecting other PC artifacts.He doesn’t know exactly how many items he has, but it’s enough to fill his garage. Greelish’s garage is filled old computer hardware and software. 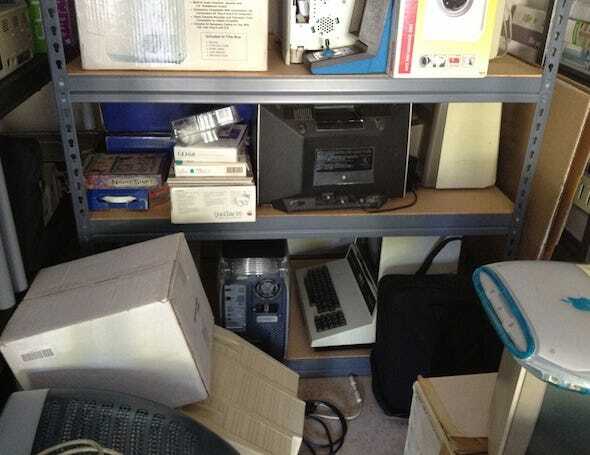 Look for the Commodore PET, Mac G4 and iBook. 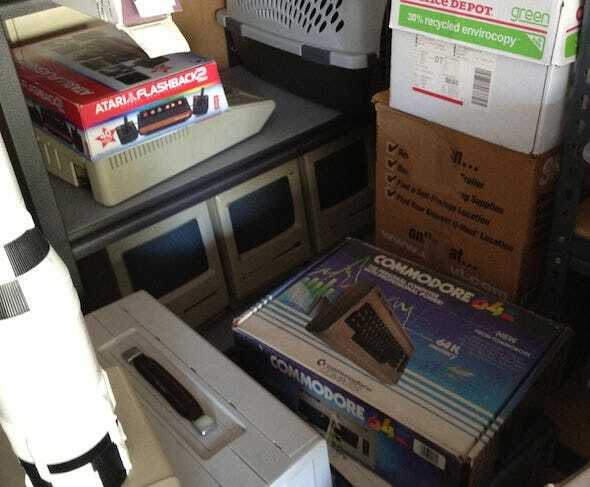 Look closely below the Atari and next to the Compaq portable and you’ll see a row of old Macs. A Motorola Mac clone, iMac G3, PowerBook, LC class Mac and (why not?) a Batmobile, too. 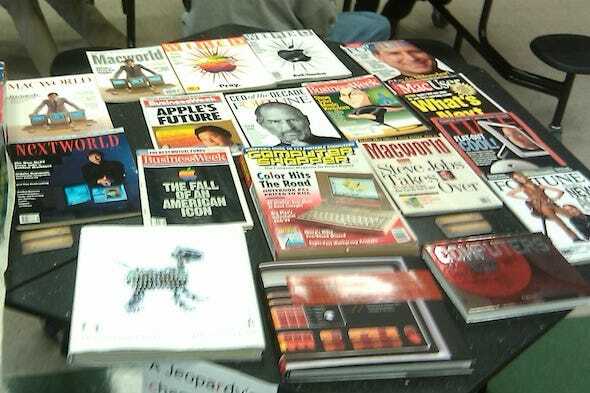 These magazines chronicle the return of Steve Jobs and Apple’s success. 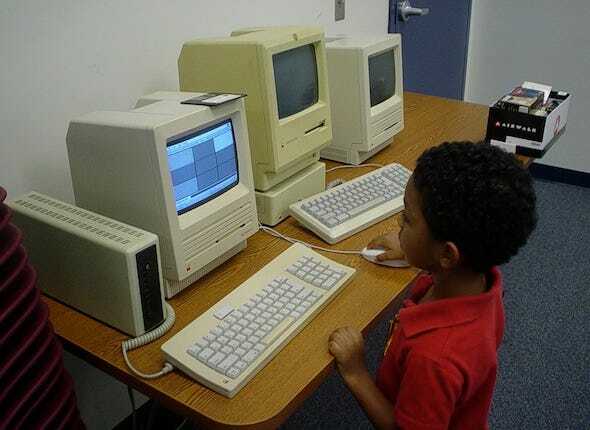 Greelish with two of his favorites, an original Macintosh and the Apple Lisa 2. Greelish gives a presentation on the first three consumer PCs: the Apple II, Tandy TRS-80 Model 1 and the Commodore PET. 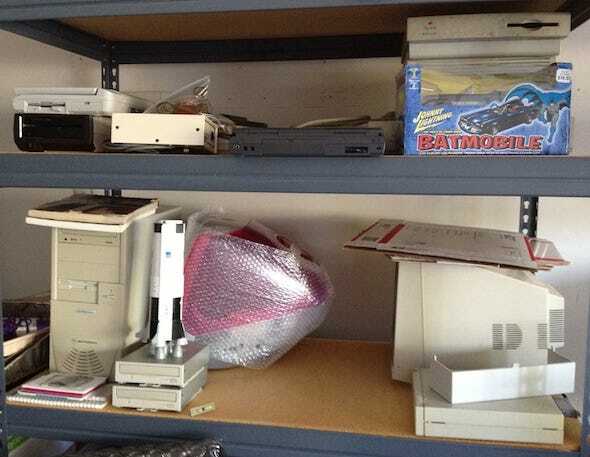 That’s the original IBM PC on the end. 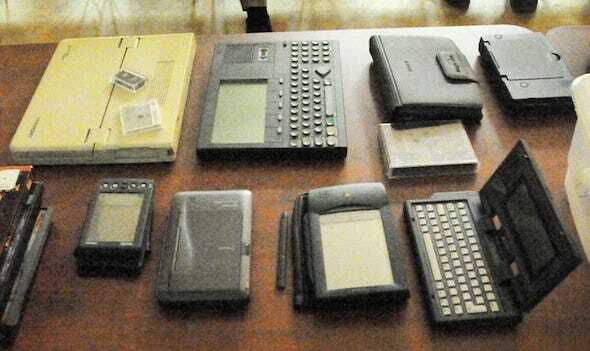 Apple’s Newton joins a Zenith laptop, workSlate, Palm Pilot, Sharp, Atari Portfolio, plus others. 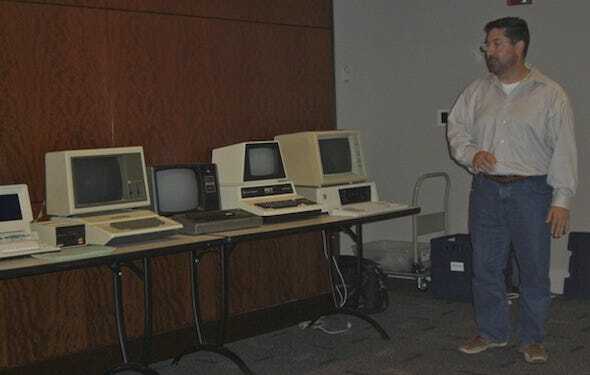 David Greelish with oldies but goodies: an Apple eMate, Apple IIe, Commodore SX-64 and iBook. This entry was posted	on Saturday, April 21st, 2012 at 4:02 pm	and is filed under Information. You can follow any responses to this entry through the RSS 2.0 feed. Both comments and pings are currently closed.